Desert Nights is a regulated and licensed online casino that operates on Rival Gaming software and features 150+ games. Australian gamblers get a special welcome offer that differs from a standard welcome bonus aimed at players of other countries, and this is one of the reasons of why you should consider giving the casino a try. Free gaming and real-money bets are available upon registration only. In case of any emerging questions, the support service will readily help you in a round-the-clock live chat. The games are grouped under the categories of Slots, i-Slots, Table Games, Jackpots, Video Poker and Specialty Games. 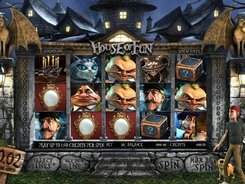 i-Slots are a unique development of Rival Gaming that include highly interactive 5-reel pokies in which gamblers are expected to find many intriguing features and bonus rounds. 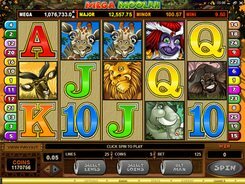 In the Jackpot section, there are four progressive pokies such as Major Moolah, Money Magic, Strike Gold and One Million Reels BC. The mobile version of Desert Nights opens in a web browser on many iOS, Android and Blackberry devices. If you visit the desktop version first, you can go to the mobile site by scanning the QR code on the Mobile page. Rival Gaming have developed over 40 mobile pokies, as of writing, and all of them seem to be present at Desert Nights. The casino currently offers seven safe and secure deposit methods and five payout methods. Australian dollars are not listed among official currencies of the casino; however, you can choose your preferred currency for betting purposes ($, €, South African Rand or £) and transfer Australian dollars that will be automatically converted into your selected currency. The minimum deposit is $25 (or currency equivalent), while the min/max withdrawal amounts depend on the payment method ($2500 or $3000 per week). The welcome package consists of two kinds of bonuses. The $10 free Sign-Up bonus is claimable after the registration and without any deposit required. The max cashout for this bonus is $170 and the games allowed to play it through are pokies, keno and scratch cards. Secondly, on making a qualifying first deposit of $25 or greater, a new user of Australia or the US (for players of other countries, the casino offers a different welcome set) is entitled to claim the 250% welcome bonus up to $2550. The wagering requirement for the welcome bonus is extremely low at x15 (D+B). 250% Midweek Top-Up, up to $625, on Wednesday deposits. On making five deposits, the player is automatically assigned the Explorer status that features some basic benefits such as dedicated promotions. The gambler is promoted to the next VIP levels (Bronze, Silver and Gold) at the sole discretion of the casino administration and there are no clear terms published of how to be eligible. Anyway, every subsequent VIP status unlocks some new goodies, for example, faster cashout processing times or weekly cashback offers.